We hit a few op-shops over the holidays. Willoughby likes to get books, Magnus looks for matchbox cars, I look at everything. Another tablecloth. I’ve gotta stop buying them! but I couldn’t resist these white wild-flowers on green background. Yum. 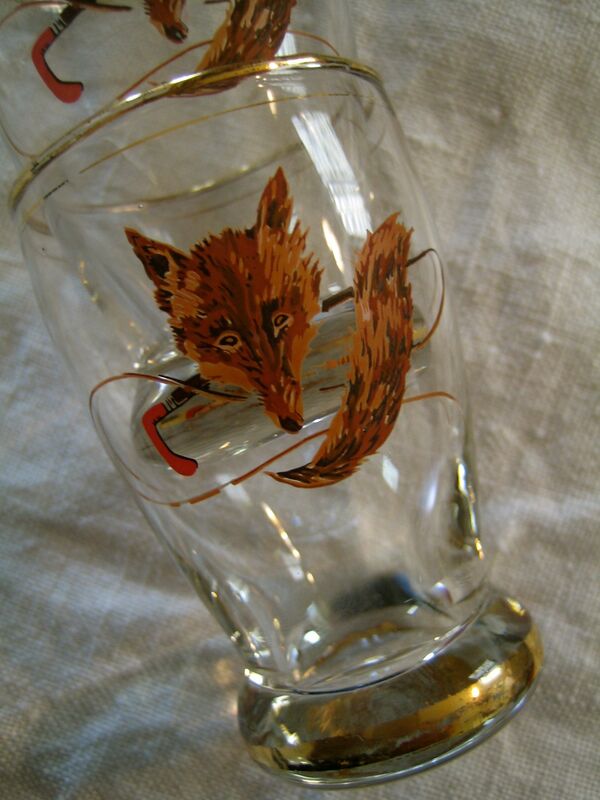 A pair of fox whiskey glasses. I’m guessing from the whips behind the fox that these are about fox-hunting. I’m on the fox’s side. He looks a bit stressed, doesn’t he? We will use these to….drink whiskey out of. 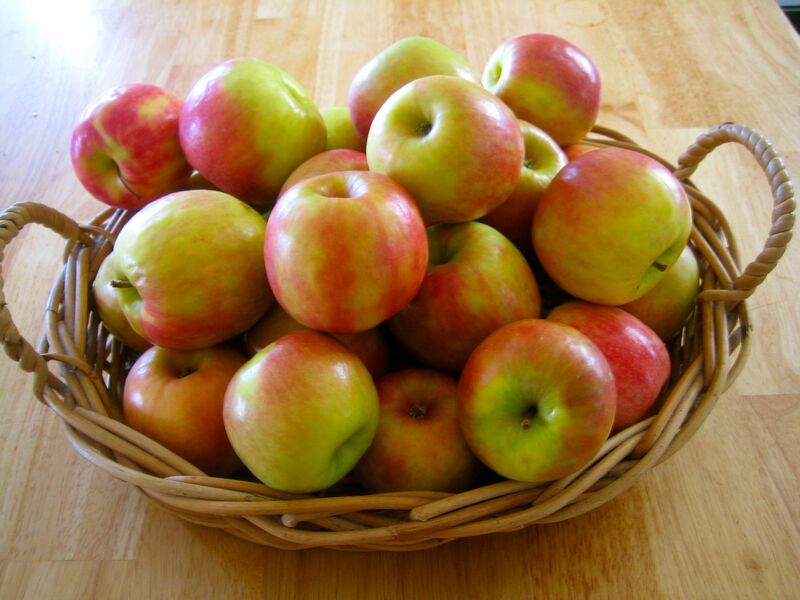 A chunky wicker basket – doesn’t it look nice full of apples? & finally, more rescued op-shop art. 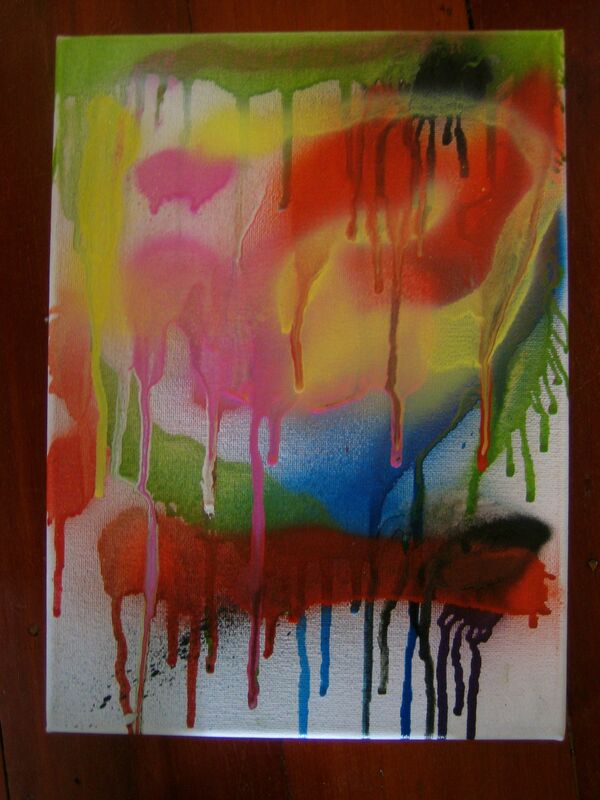 Someone has just spray-painted a canvas. I like the colours very much and think I’ll do something to add to this one. It doesn’t feel finished yet. I like working collaboratively! Isn’t op-shopping wonderfully random? You never know what you might find. I think that’s why I love it so much. I LOVE all that stuff! Well, until you go to that cray cray painting. LOVE love love that green tablecloth. Mmmmm greeeennn. Lol – yay! Yes, we do have very similar taste, don’t we? That’s why we are so great when we op-shop together! Eagle eyes for good taste. 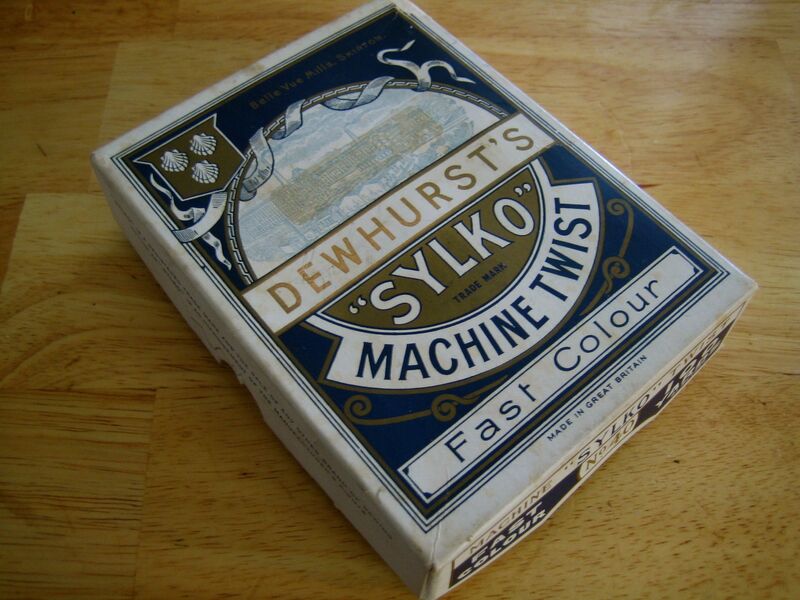 I’m gonna turn the cray-cray painting into something good – I promise. Ideas-a-brewin’. What excellent finds. 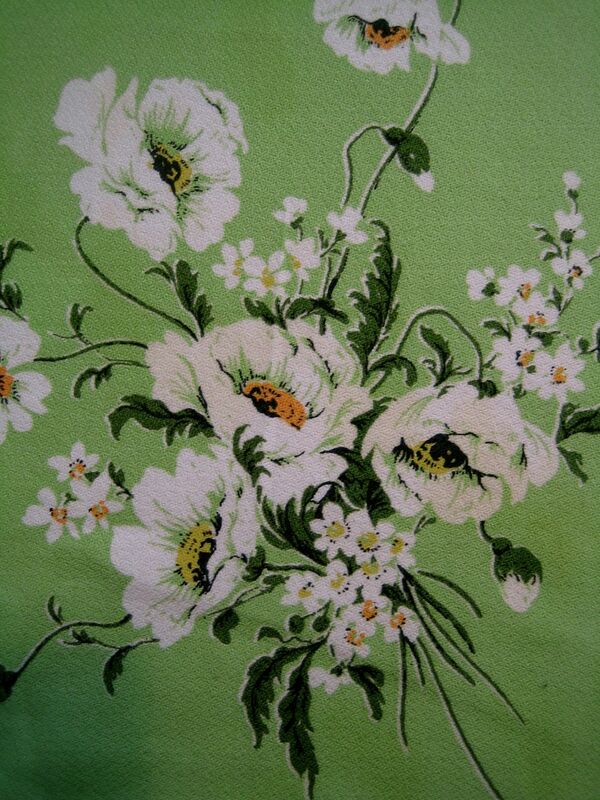 I feel driven all of a sudden to get some tablecloths now too, yours is a beauty.